To provide for recoverability of Microsoft Exchange items, make sure you have an application-consistent backup (with VSS enabled) of your Microsoft Exchange server machine created successfully. Go to the Jobs tab and select your Exchange server backup job. Click the Customize Applications button, then in the dialog displayed, select the Exchange server machine from the list and click Edit. 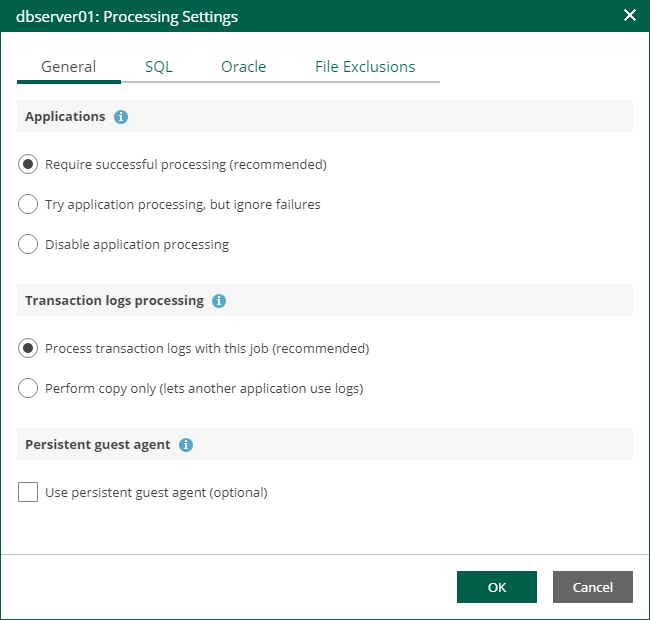 Go to the General tab and make sure you have the Require successful application processing option selected in the Applications section. In the Transaction logs processing section, the Process transaction logs with this job (recommended) option is selected by default. Next, in the Guest OS Credentials section you can edit the account credentials under which guest OS will be accessed. 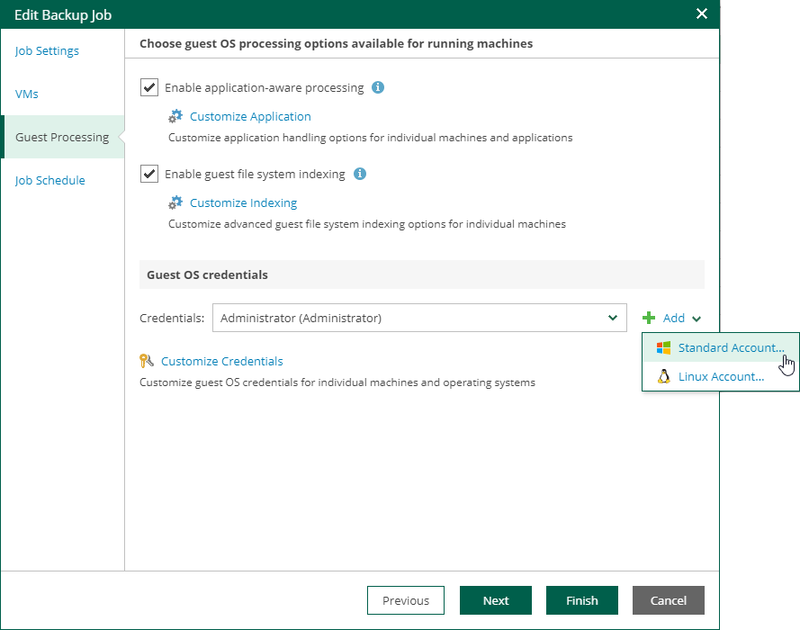 By default, for all machines in the job Veeam will use common credentials provided in the Guest OS credentials section — for that, you can select the account from the list, or click on the ‘+’ sign and select Windows (or Linux) OS. Then you will be prompted to enter user name and password for guest OS access. Click OK to save the settings and return to the Guest processing page. For more information on specifying guest OS access credentials, see Guest OS Credentials. On the final step of the wizard, verify job schedule and click Finish.